After serving the community of Seattle as a police sergeant for over 10 years, Jon Schorsch completed advanced degrees in law and public administration from Seattle University. In addition to his work in law enforcement, Jon Schorsch volunteers with several community organizations, including the National Federation of the Blind and the U.S. Blind Golf Association (USBGA). The origins of the USBGA can be traced back to 1938, when friends of Clint Russell, a golfer who continued to perfect his game after losing his sight, challenged the world record publication Ripley’s to host a tournament for blind players. The attention from the event encouraged more blind people to play golf. In 1953, golfer Bob Allman started the USBGA. Today, the Association hosts several regional championships and a professional national tournament. 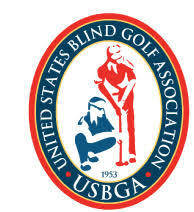 In 1998, the USBGA helped found the the International Blind Golf Association, which brings together blind golfers from 15 countries during its annual championships and World Open. Since 2007, the USBGA’s Hall of Fame has inducted top performing golfers and coaches, publishing their accomplishments on the association’s official website.